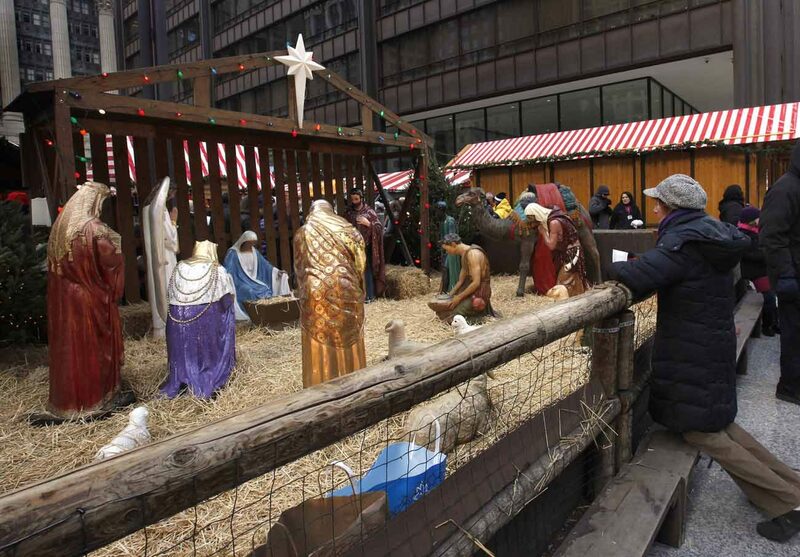 WASHINGTON (CNS) — In his message for Christmas, Cardinal Daniel N. DiNardo of Galveston-Houston, president of the U.S. Conference of Catholic Bishops, encouraged Catholics to visit the manger this Christmas and reflect on how to give of themselves in the New Year. “My brothers and sisters in Christ, like the Magi and the shepherds before us, we are making our Christmas journey to see the newborn Savior,” he said Dec. 20. “Centuries ago, gifts of gold, frankincense and myrrh greeted the infant Jesus. People in need of God’s love rejoiced in the news of his birth and offered gifts of gratitude. “This Christmas, let us also visit the manger and give the gift of ourselves. This gift arises from our desire and search for peace at this time and place,” Cardinal DiNardo said. A video version of his message can be viewed on Facebook here. My brothers and sisters in Christ, like the Magi and the shepherds before us, we are making our Christmas journey to see the newborn Savior. Centuries ago, gifts of gold, frankincense and myrrh greeted the infant Jesus. People in need of God’s love rejoiced in the news of his birth and offered gifts of gratitude. This Christmas, let us also visit the manger and give the gift of ourselves. This gift arises from our desire and search for peace at this time and place. Allow me to say a special word to our sisters and brothers who find themselves immigrants and refugees on Christmas Day. In you, we see the very struggles of the Holy Family. From the angel of the Lord, Joseph heard the call to “rise and flee” in order to keep Mary and Jesus safe from violence at home. The Catholic Church in the United States is praying for you and is working to welcome you as we would the Holy Family. We remain a people in need of God’s love this Christmas, especially the unborn or unemployed, the suffering and sick, the lonely and the grieving. Let us pray the Holy Spirit will come upon us as he overshadowed the Virgin Mary at the Annunciation so that filled with the love of her Son, we will “proclaim the greatness of the Lord.” Merry Christmas!